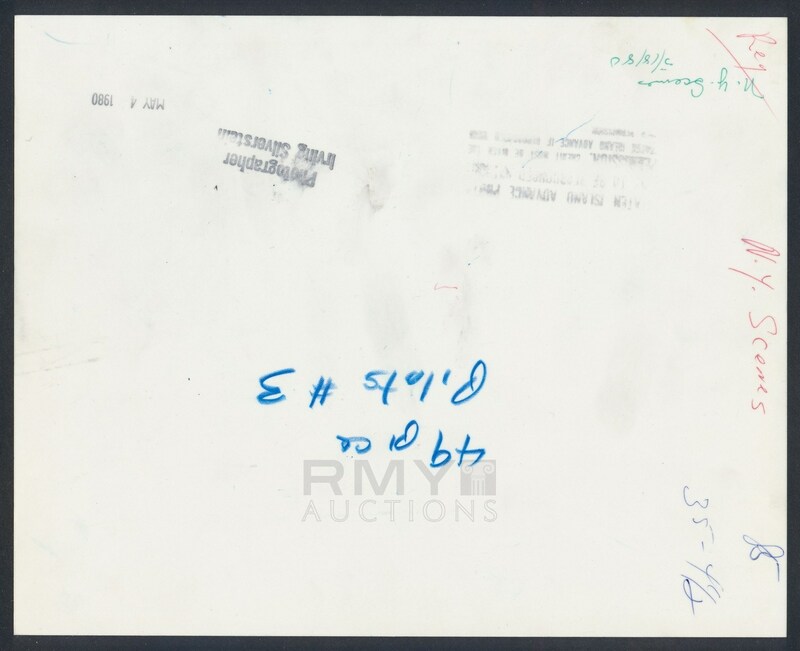 Lot # 22: 1980 World Trade Centers in New York, "Airplane Flies Between Buildings" Eerie Photo! 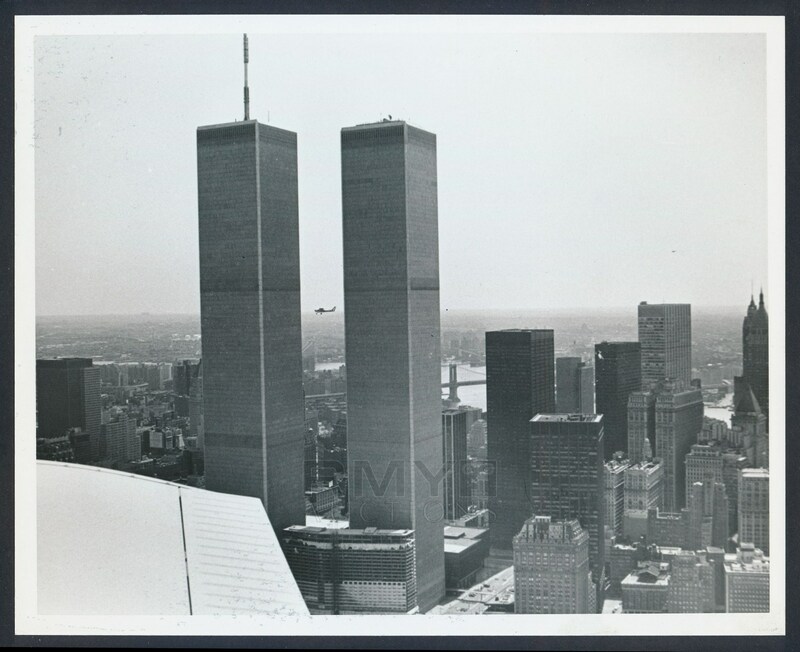 Incredible and thought provoking image from 1980 of the World Trade Center towers in New York City as a small plane flies between them and is clearly in view. Taken 21 years before the greatest tragedy of this century, the thought of a plane flying by these monsters at the time had to seem innocent and quaint. Stamped on the back by the photographer, this is an amazing piece of photography.